Have you sat in front of your computer for two hours staring at your resume and you still have no idea what you need to do to make yourself stand out more? Sure, people tell you to “tailor” your resume to each position, but what does that even mean?! I have compiled the top 5 resume tips for creating an effective resume in 2018. 1. Connect With Your Intended Audience. Are you using one resume to apply to multiple jobs? This could be why you are not getting the response you deserve. Research and get to know the companies you are targeting and become familiar with their greatest pains, needs and problems. -What advantage does this specific position bring to the company? -What makes me stand out? -How could I benefit the company in this position? 2. Consider your Personal Brand. 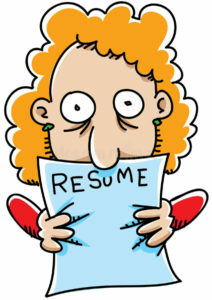 Think of your resume as a marketing document intended to sell you as the perfect person for the job. Be sure to highlight your skills and accomplishments that are relevant to the job you are pursuing. -What are some relevant accomplishments or successes you have delivered in previous roles? -What makes you unique or how do you do things different than others in similar roles? -What are your greatest strengths specific to this position? 3. How are you a Beneficial and Influential Candidate? Take a step back and analyze your career history. Did you find any common themes? How do these themes relate to the needs of the company and the problems of the employer? Take some time to think about this and it will help you determine how you can resolve their problems, meet their greatest needs, or add to their bottom line. -Have you been a positive influence? -What benefit would the company receive from choosing you over another candidate? -How did you bring value to your previous employers? Being authentic means avoiding templates and bringing out your own personality and voice. Keep in mind that templates and “sales talk” will likely be glanced over when employers screen your resume. Instead, create a resume that is a genuine reflection of you. One way to accomplish authenticity is by removing adjectives and adding tangible accomplishments. 5. Prove Yourself by Writing a Story. Your story should portray the challenge to the company, the action you took to repair the damage, and the results of your actions. You can validate your personal brand by writing about your accomplishments with tangible results. Quantification: numbers are very persuasive and they provide tangible proof that you provide real results. Testimonials: what someone else says about you can be even more impactful than what we say about ourselves. LinkedIn can be a great resource to support and validate your brand and career successes. Recommendations: be proactive about requesting recommendations from supervisors, clients, coworkers, and colleagues. Consider certain themes of accomplishments you want to highlight and don’t be afraid to request what you’d like them to share in their recommendation. Still stuck? I would be happy to help! Please reach out to me at www.resumeassassin.com or mary@resumeassassin.com. Should I Use Social Medial During My Job Search?